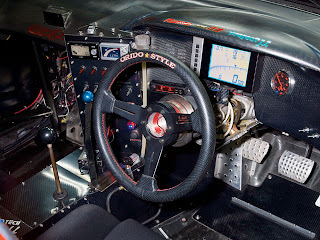 Orido began his racing career as a street racer and then progressed to touge racing. After years of one make series, he first appeared in the JGTC series in 1996 and won the GT300 title for the following year, up until the 2000 season when he moved up to GT500 he took three wins altogether and has since taken two GT500 wins to date. Orido competed in two Grand National Division, West Series races in 1999. He finished eigthteenth at Irwindale Speedway, and thirtieth at Twin Ring Motegi. 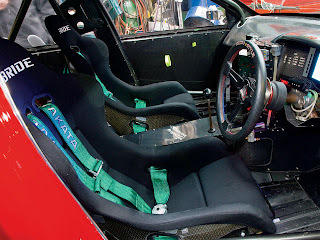 He was also the D1 Grand Prix judge from the start of the series to the end of the 2004, when he became driver for that following season until his drifting driver career ended when his Toyota Supra was destroyed in a transportation accident en route to Advan Drift Meeting when it was hit from behind driven by a sleeping truck driver. Orido currently teaches safety driving at NATS (Nihon Automobile High Technical School).Because of his appearance in video series such as Video Option and Hot Version, Orido has become a fan favorite in the Super GT series. 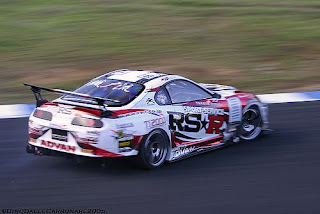 Until 2006, Orido always drove the Supra in Super GT as he personally owns one as well as using it for drifting events, despite being disadvantaged in the latter. Step into the presence of Manabu Orido and you'll be treated to celebrity status. The man is legendary in Japan, both as a GT driver and for what he is most often recognized as: a drifter. He is cool and confident at all times, smokes cigarettes constantly, is dressed as if his life were a GQ fashion spread and carries a certain arrogance about himself in a way that doesn't make you want to hate him but actually makes you want to like him more. 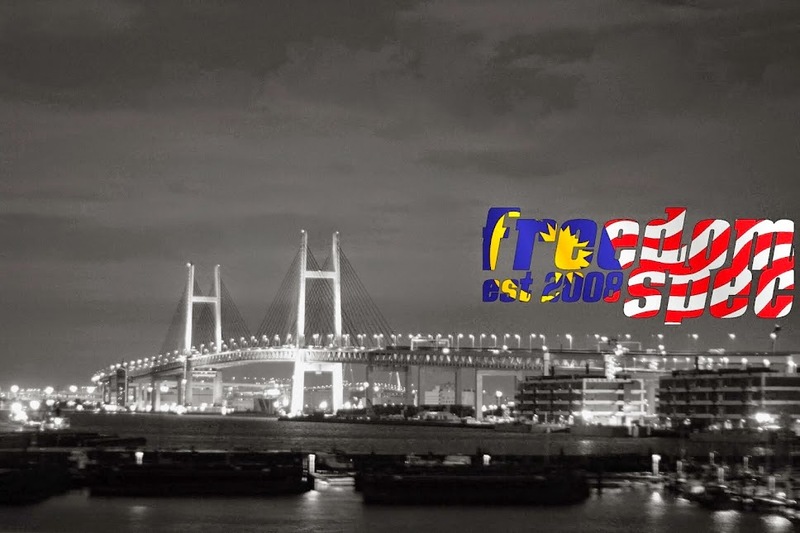 Orido knows his worth as a driver, but in recent years has dipped out of the limelight due to political forces in the Japanese drifting community that we probably shouldn't investigate, unless we care to lose a finger. In that downtime, Orido carried on as a driver for the Super GT series. He spent more time at his restaurant so he could fine-tune his skills as a chef. He even mentored one of our local heroes, Dai Yoshihara, during the off-season with NOB Taniguchi; the three often play golf in the motherland. But he wanted so desperately to get back into drifting. "A few years ago, I talked to NOB and [Takahiro] Ueno about building identical drift cars that we could take to the U.S. so we could perform for our American fans," he says, "so I built this Aristo because of my relationship with Toyota. It's a high performance sports sedan that's perfect for drifting and it comes with a 2JZ motor. I think it's something everyone would like." But the Aristo was not built as an overnight sensation. It was during those years of seclusion-three years' worth, to be exact-that the car was often left untouched until Limit Line took over. In three months, the shop prepared the chassis to become the drift vehicle it is today.